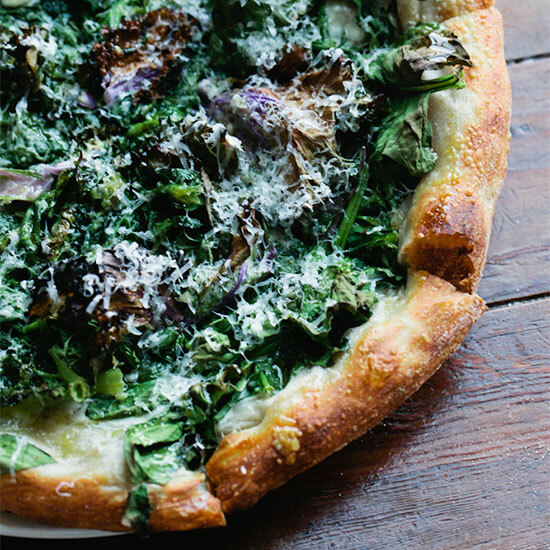 Best Kale Dishes in the U.S.
Mathematician-turned-pizzaiolo Jeff Mahin is no traditionalist when it comes to pie toppings; one favorite combination calls for crispy purple kale, young pecorino, roasted garlic and cracked black peppercorns. 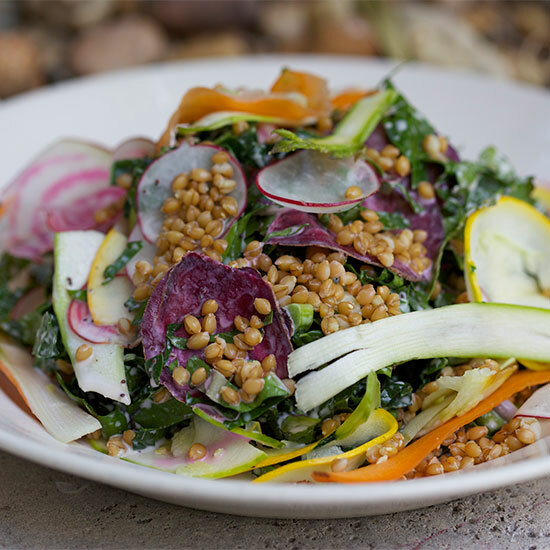 Menus change daily at this Miami favorite, but one recent fixture is its kale and farro salad, accompanied by always-varying shaved market vegetables that might include zucchini, radish and fennel, and dressed with a punchy buttermilk vinaigrette. 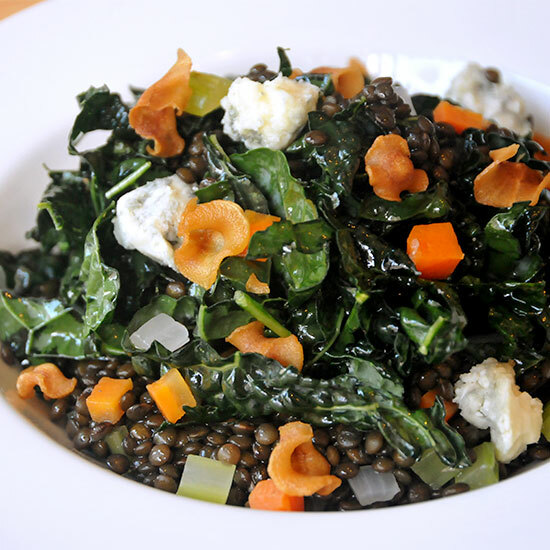 Leave it to Texan chef Tim Love to give a meaty twist to kale salad. 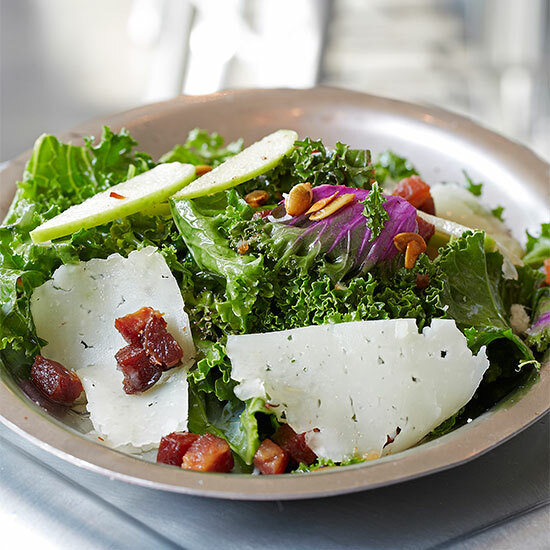 House-cured guanciale accompanies three varieties of kale, crisp celery greens, smoked pepitas and shavings of Manchego cheese. A lemony dressing made with rendered fat from the guanciale puts the salad over the top. 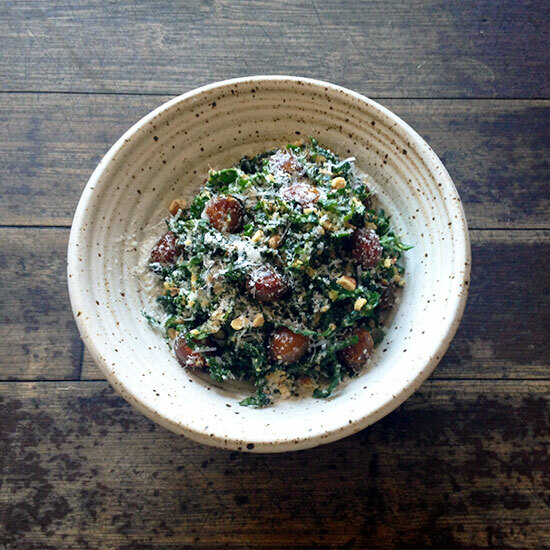 Chef Nicolaus Balla’s tahini—which he prepares with toasted sunflower seeds instead of the traditional sesame—packs an umami punch to kale that’s been quick-wilted in a sauté pan and tossed with torn pieces of the multi-seed-studded Rene’s rye bread from Tartine. Thick house-made yogurt, plus a sprinkling of yogurt powder, add a pleasing tartness. Chef Bryce Shuman gives crisp–fried black kale a sumptuous accompaniment: seared foie gras with smoked pork hocks plugged into its center. 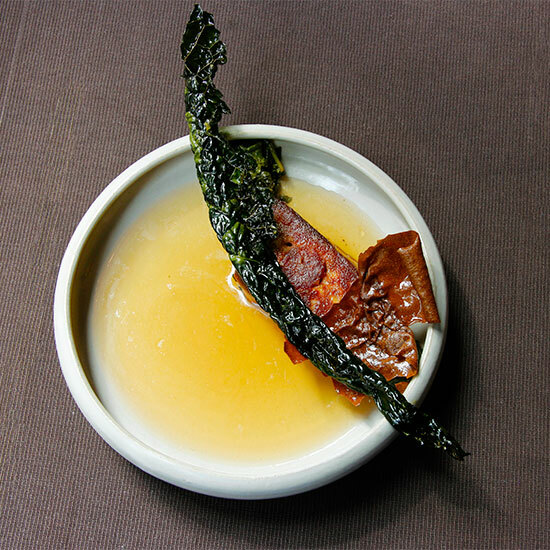 A hock-flavored consommé is poured over the dish tableside. By day, The General Muir offers Todd Ginsberg’s modern takes on deli classics (including a vegetarian Reuben made with smoked beets); by night, it serves excellent small plates like a chiffonade of kale accompanied by lentils that have been cooked in schmaltz, crisp golden parsnip chips and crumbly, pungent Roquefort cheese. 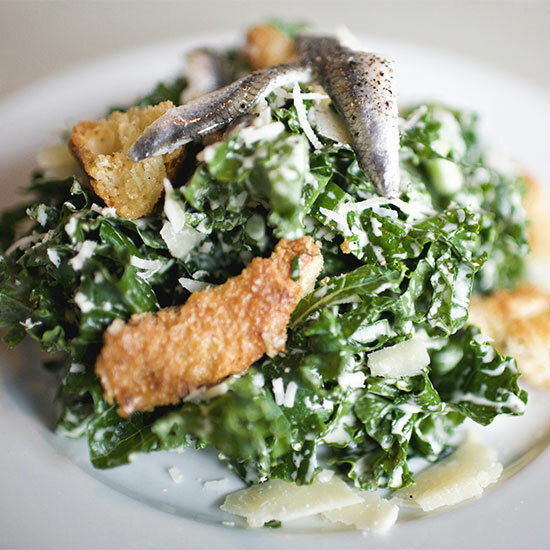 Chef Josh Henderson’s witty take on a Caesar salad features ribbons of raw kale, vinegary boquerones; huge, buttery croutons and shredded Parmesan, all dressed liberally with a creamy, garlicky dressing. For extra indulgence, diners can add a fried chicken thigh. 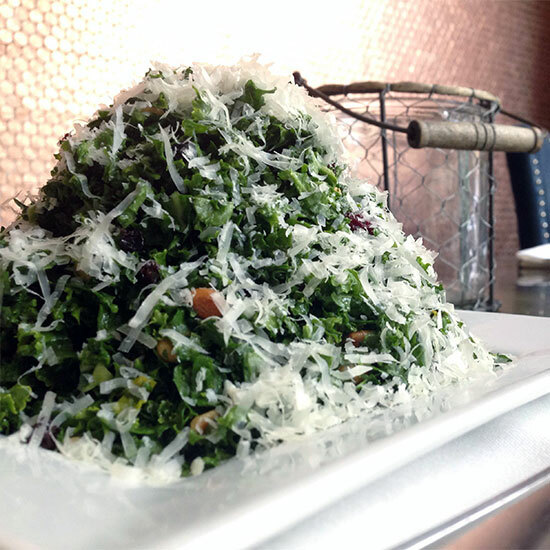 At the city’s top regional Italian restaurant, chef Alon Shaya had the genius idea to hybridize kale chips and kale salad: He coats kale leaves in a light garbanzo bean–batter before chucking them into the deep-fryer, then tosses the crisped leaves with toasted pine nuts, halved cherry tomatoes, grated Parmesan and a lemony dressing. 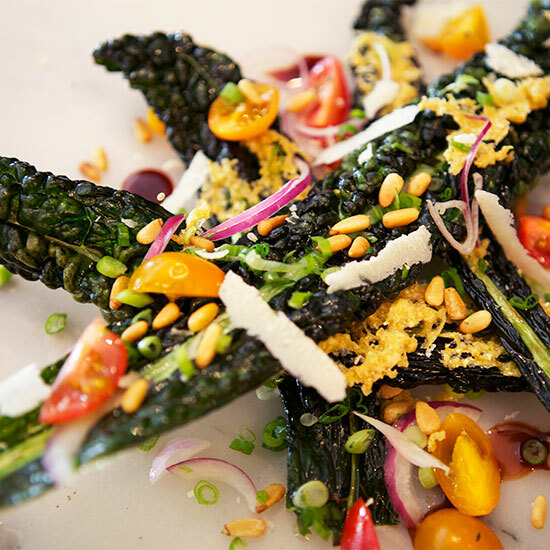 Jeremy Fox proved his genius with vegetables at Napa’s Ubuntu restaurant; at Rustic Canyon, he continues to showcase his talent in dishes like his lemony kale salad accented with sweet and chewy dates, walnuts and Parmesan cheese. Chef Jose Mendin, along with partners Sergio Navarro and Andreas Schreiner, have built a veritable restaurant empire in Miami with six spots including the super popular Pubbelly. 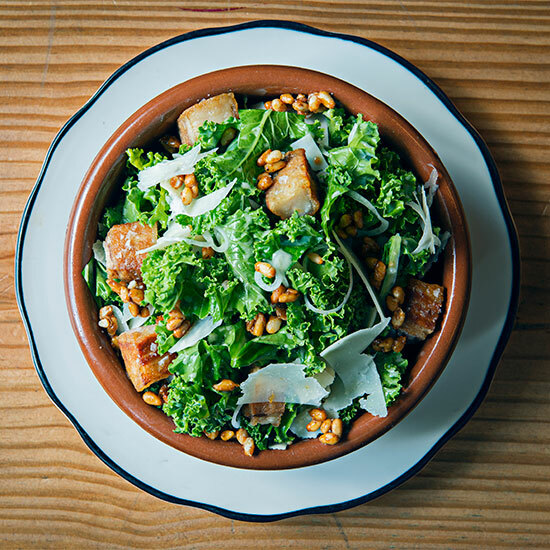 Its kale salad features crisp chicharrónes, Parmesan, pine nuts and a preserved-lemon vinaigrette. Chef Matthew Gaudet (an F&W Best New Chef 2013) is known for ingredient combinations that are playful and smart. 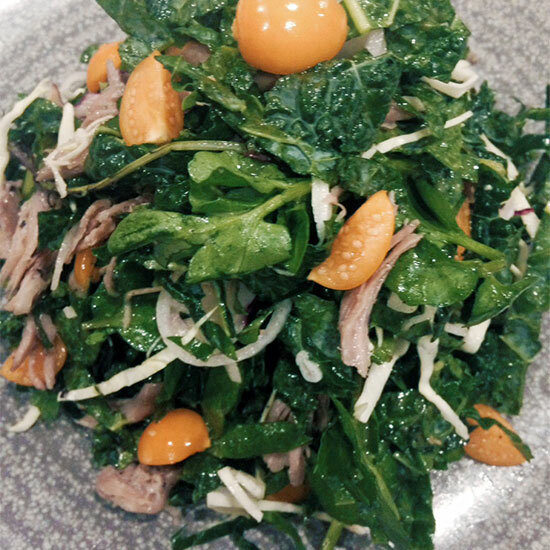 His popular kale salad is no exception, featuring kale, cabbage and watercress accompanied by rich duck confit, halved gooseberries and pickled shallot rings, all dressed with a zesty lemon-thyme vinaigrette. “It’s a blend of sweet, acid and fatty meatiness,” he says. 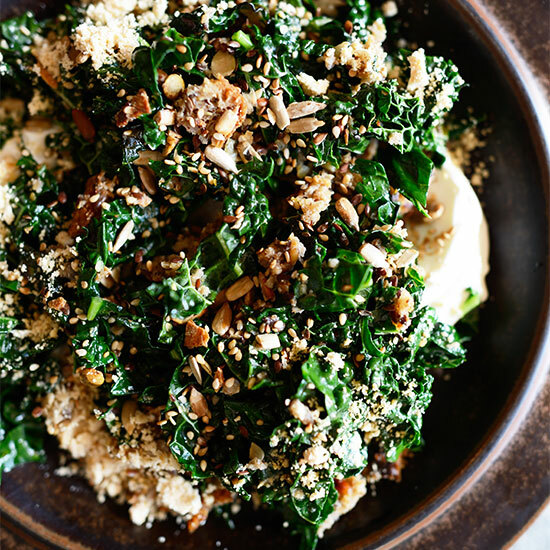 Even President Obama has had Lincoln’s kale salad—arguably the city’s most popular—which features shredded kale tossed with hazelnuts, dried cranberries and a lemony vinaigrette. 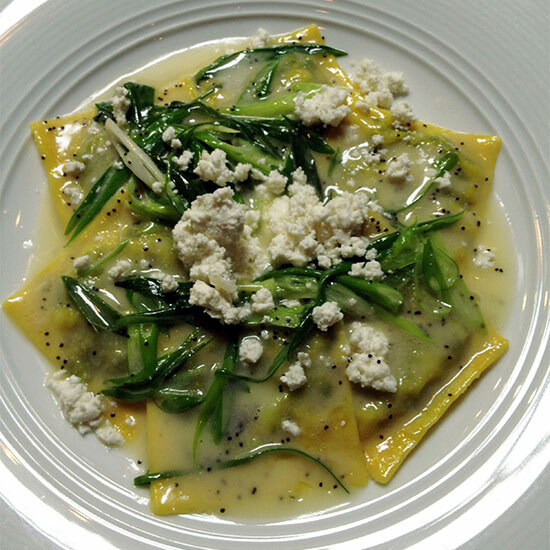 A genius with pasta, F&W Best New Chef 2014 Matthew Accarrino stuffs francobolli—square, flat ravioli that take the shape of postage stamps—with a sweet braise of kale and sweet onion, plus ricotta and goat cheese. For added flavor, he tops the pasta with a sweet onion glaze, poppy seeds and even more crumbled goat cheese. “It screams Americana,” says Gabrielle Quiñónez Denton, an F&W Best New Chef 2014 with her co-chef (and husband), Greg Denton, of their popular kale and radicchio salad, liberally coated with buttermilk ranch dressing and crumbled Amish blue cheese. 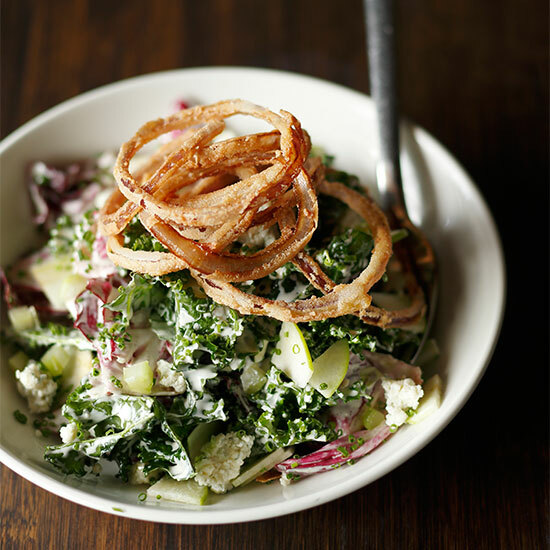 For crunch, there are slices of green apple, diced celery, plus sublime crisp–fried red onion rings. 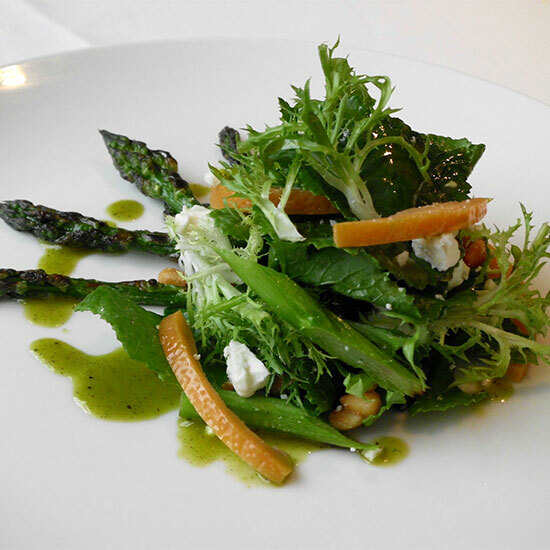 In 2012, longtime employees Justin and Sarah Aprahamian took over the reins of the acclaimed more than two-decade-old Sanford, infusing it with new energy and fantastic dishes like a baby kale salad accompanied by grilled asparagus, candied grapefruit, pine nuts, feta and a refreshing mint-garlic dressing. 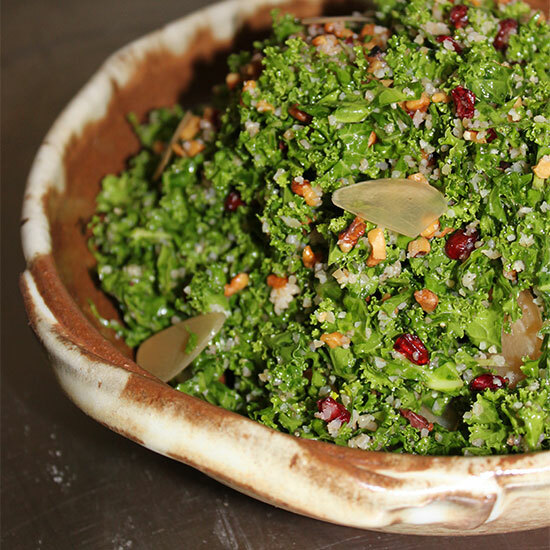 At Sofra, chef Ana Sortun’s Middle Eastern bakery and café, tabbouleh gets a makeover with kale instead of the traditional parsley, plus tart dried barberries and pickled garlic that’s been house-aged for one year. Chef Ford Fry’s ode to oyster bars and lakeside fish camps has more than just pescatarian pleasures on its menu. 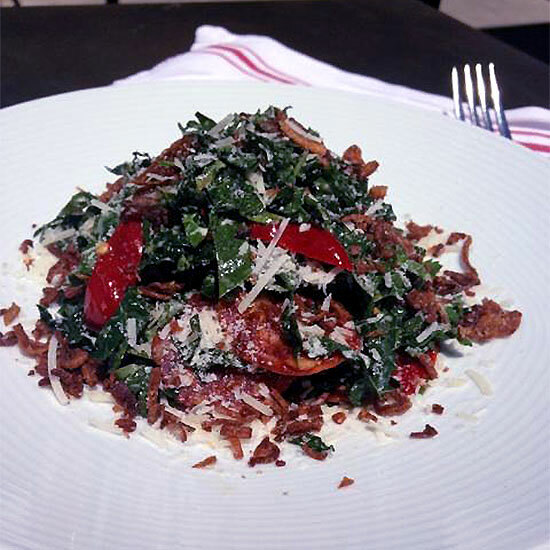 Its brilliant kale salad is studded with thinly sliced crisp-fried chorizo, Calabrese peppers and grated Parmesan, all dressed with a sherry vinaigrette that’s been thickened with a confit of baby Vidalia onions. Justin Yu (an F&W Best New Chef 2014) has won over meat-loving Houston (as well as the rest of the country) with his excellent garden prix fixe menu, which showcases vegetables in brilliantly unexpected layers of flavor. 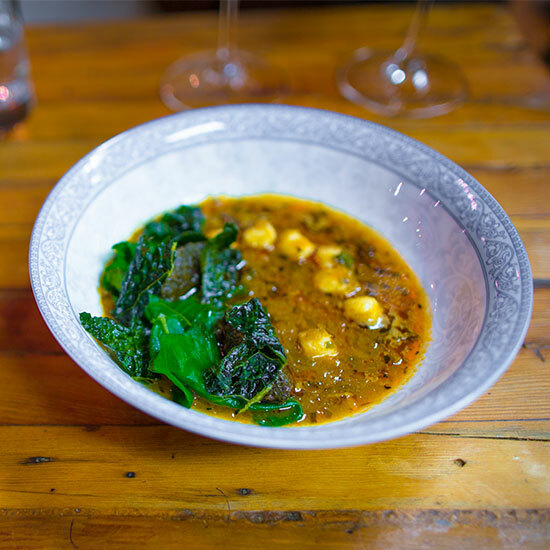 One terrific example is his kale stew, featuring kale four ways—roasted, steamed, dried and braised—along with horseradish dumplings and a mushroom broth.